– Joanelle Romero Apache/Navajo/Cheyenne/Paiute/Southern Ute/Spanish SephardicJew. Pojoaque & Pawnee by marriage and Iroquois by relation. Romero an Award-winning Filmmaker – shorted listed for an OSCAR. Member of The Motion Picture Arts & Sciences; Actress – lead role in the first Contemporary American Indian Women’s Story ever producer in 1977 “The Girl Called Hatter Fox” to 1989 Sundance award winning film and cult classic George Harrison (The Beatles) feature film “Pow Wow Highway“, a film that paved the way for contemporary native filmmaking; Award-wining Screenwriter, Singer/Songwriter, Author, Humanitarian. 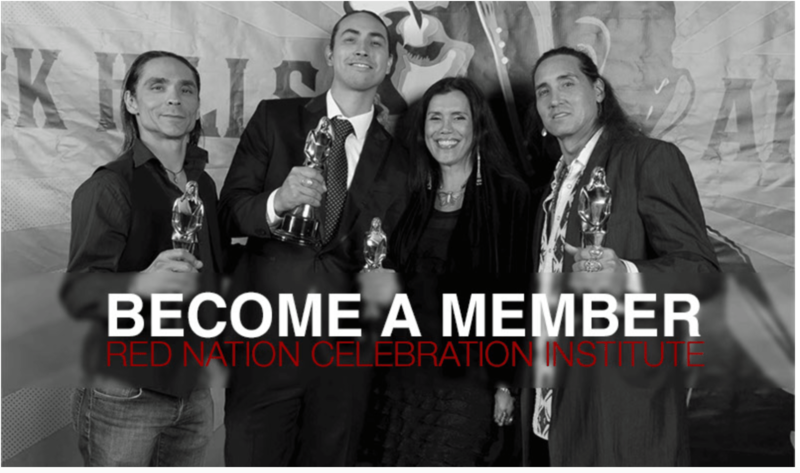 Founder/CEO/President of Red Nation Celebration Institute; Red Nation International Film Festival – first Native Film Festival in Los Angeles; RNCI Red Nation Awards, Red Nation Television Network – first Native content provider online streaming company; Native Women in FILM; Red Nation Films; Indigenous Women RISE – organized the first Indigenous Women’s March in Santa Monica CA; #WhyWeWearRED – focused on Murder and Missing Indigenous women and the lack of Native Women in Film & Television; Native Youth Matter – If I Can See It I Can Be It. Romero founded American Indian Heritage Month in the City and Country of Los Angeles. Romero organized the first and only Indigenous Parade contingent of 850+ Downtown Los Angeles, which led to open The State Historic Park with a Pow Wow. Romero has been working in the film industry her whole life; with and in Native communities since 1972, producing ground-breaking events, initiatives throughout Los Angeles and across the country. – Linda Tenequer Muscogee Creek Nation. RNCI Vice President. Writer/Fortune 500. – Paul Audley President of Film L.A. Inc. Audley, has been Arizona state director of the Trust for Public Land and has an extensive background in community-based nonprofit organizations and government, including having served as mayor of Fairfield, Conn., and deputy secretary of state in Connecticut. 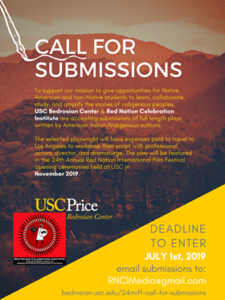 – Teri Red Owl Bishop Paiute Tribe. Nuumu from Payahuunadu – land of the flowing water. Executive Director at Owens Valley Indian Water Commission. Studied Business at Western Governors University. Co-Produced Award-winning film PAYA THE WATER STORY OF THE PAIUTE. – Sarah Koyo Chumash šmuwič, Chumash from so-called Santa Barbara (syuxtun) and Tohono O’odham. RNCI Youth Ambassador. Goes to show just how much Spanish influence there is on native peoples of California. Sarah identifies with her beach people ancestors, she grew up on the coast in San Pedro, CA. The Port of Los Angeles. Currently working for a tribal TANF in the cultural department. Hoping to bring our traditional ways back to the urban native population, connecting them back to Mother Earth. She made short documentary in high school through funding from the Bill & Melinda Gates Foundation, on her community’s annual crossing to our home island of Limuw (Santa Cruz island). 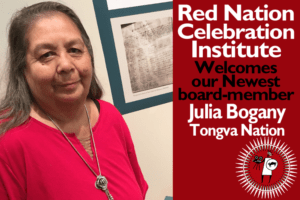 – Julia Bogany Tongva Nation. Cultural Consultant. Tribal Councilmember. Teacher of language and basket making. – Jaima Chevalier is an author and filmmaker from Santa Fe, NM. Her most recent work, a feature-length documentary entitled “Veiled Lightning” has garnered critical attention for its exposure of a colonial reenactment pageant that excludes the story of the Pueblo Revolt of 1680. Chevalier is active in the non-profit world, having served as an officer and/or president for many organizations including the New Mexico Governor’s Mansion Foundation, the EmiArteFlamenco Academy, the Santa Fe Opera Guild, and the Guilds of the Santa Fe Opera, Inc. Her production business, Picture This Production Company, is a full-service film and media organization. – Edward James Olmos Academy Award Nominee, Actor, Battlestar Galactica, Lieutenant Martin “Marty” Castillo in Miami Vice, teacher Jaime Escalante in Stand and Deliver, patriarch Abraham Quintanilla, Jr. in the film Selena, Detective Gaff in Blade Runner, and narrator El Pachuco in both the stage and film versions of Zoot Suit. In 1988, Olmos was nominated for an Academy Award for Best Actor in a Leading Role for the film Stand and Deliver. – A Martinez Mexican and Apache on his father’s side, Piegan Blackfeet and Northern European on his mother’s. Actor and writer, known for Longmire (2012), Santa Barbara (1984) and Powwow Highway (1989). – Michael O’Keefe Golden Globe Award Winner, Academy Award Nominee, Actor. – Tokala Clifford Oglala Lakota Actor. known for Wind River (2017). – John Bryant Founder, Chairman, CEO of Operation Hope Vice Chairman U.S. President’s Advisory Council on Financial Literacy, Washington DC. – George Burdeau Blackfeet Nation First American Indian Director to be admitted to the DGA. – Elizabeth Kucinich Government affairs, policy and partnerships professional, Documentary Producer, and wife of Dennis Kucinichwife of Dennis Kucinich. – Dan Aykroyd Actor, Producer, Blues Brother. – Sage Galesi – Apache/Cheyenne/Lakota Nations Award-winning actress, singer, singer, performer, screenwriter. Sage is a former Board member of Red Nation Celebration, held for 14 yrs. Sage is a Graduate of Yale University 2008. – Lisa Tiger Muscogee/Creek/Seminole/Cherokee/Irish descent Santa Fe New Mexico. HIV/AIDS educator and motivational speaker. Lisa has been doing AIDS education since learning she was infected with the virus in 1992. – Dr. Joel Silbar – Silbar Chiropractic. – LaDonna Harris Comanche has devoted her life to building coalitions that create change. She has been a consistent and ardent advocate on behalf of Tribal America. In addition, she continues her activism in the areas of civil rights, environmental protection, the women’s movement and world peace. – Chief Leonard Crow Dog Lakota Medicine man, Spiritual leader, Spiritual intercessor, and story teller of Lakota tribe in Rosebud Indian. Reservation in South Dakota of Turtle Island. – Chief Oren Lyons Faithkeeper of the turtle clan of the Onondaga and Seneca Nations of the Iroquois Confederacy. – Becky Akins MA Mohawk Nation Tucson AZ. 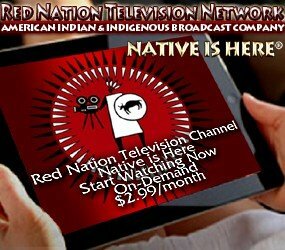 – Nicotrigo, LLC./Grant-writer for Native Americans. – Dr. Anthony Stately Ph. D. former AIDS Project LA.